Hit up your next picnic with delectable moi-moi garnished with boiled eggs. Just like so. YUM! Mother’s moi-moi mantra: "Nothing can stop you unless you let it!" Growing up my mother would make moi-moi a little less often, perhaps once every month. And that leaves an unforgettable memory until the next one. Click To Tweet As a child I wanted my mother to make moi-moi more often, but I eventually understood that making this dish is not a child’s play. It inevitably takes a bit of a method and a lot of effort. There is the "beans washing/de-skinning challenge. Plus the challenge generally faced in making moi-moi in Nigeria - the issue of blending (or grinding) the beans due to poor power supply. We would usually go down the street to use the commercial grinder, (which isn’t free but affordable) to blend the beans. The operators use some kind of private electricity generator. OK, not to mention queuing up (sometimes for hours) to wait for turns in other to grind our beans, boy oh boy! I live for my childhood memories. In reality, (at that time and even now) only very few households can boast of household blenders in Nigeria. And also for people with household (or private) blenders, the electricity to use such blenders are still a challenge. Such challenges rarely deter us from enjoying this delicacy. Relatively, I recall so many times my mother had used a grinding stone to grind beans. As well as uncountable times we used mortar and pestle to do the job. Click To Tweet Notwithstanding all of these seemingly elaborate process, moi-moi eating is still at all time high. It is equally important to mention here that usually people buy moi-moi from street hawkers and in marketplaces because it is a readily available snack/food. Quite understandable that most people would rather buy (already made moi-moi) than go through the process of making it. But of course homemade is a home meal, and nothing compares to it.😁 OH, and I totally forgot to mention the epic wrapping-ness (aka how to wrap moi-moi before steaming); traditionally, the moi-moi paste is wrapped in banana leaves. One of those skills needed to make this deliciousness happen is banana leaves wrapping skill! But don’t worry if you don’t have this skill yet (I don’t either), we now have moi-moi cooking pouches. The really easy and necessary things to do for this dish to happen. WASH. BLEND. MIX. In other to make moi-moi you will need beans (obviously), in Nigeria (then) my mother would always prefer Nigerian brown beans. And sometimes the off white beans that look precisely like the black-eyed peas (and honestly it might have been it). Living in America, I have been making moi-moi with mainly black-eyed peas. And it is more than excellent for this dish – spectacular! If you ever live close to an African store and you want to use Nigerian brown beans to cook this dish, go for it! Relatively, you could also use beans flour if you do not have the time or energy to de-skin, wash and blend the beans. And am sure it could work just fine, not exactly sure how it will affect the taste. Fortunately, the recipe I have for you here today is the recipe for making moi-moi from scratch, but don’t worry it is not scary. This includes de-skinning, blending and steaming/cooking. 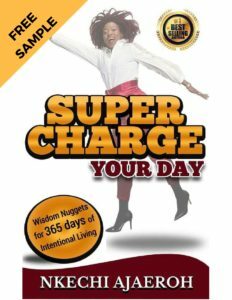 The good news is that I will show you the easy way to do it so that you can always and easily make it yourself! To put differently, we are squashing the fear surrounding moi-moi making today! Aside from beans (which is the star of this dish and which comprises of high-quality protein as you know), this dish would require some fresh bell peppers, onions, garlic, tomato paste and some vegetable oil among other things. Blend the beans to turn it into a paste. Spice up the paste with the necessary condiments and steam/cook or bake. And the most delightful moi-moi is born. BOOM! Serve up some of your delicious moi-moi with rice as I did above. It works well with white rice and stew, jollof rice and fried rice. If you are ready, let us get cooking. Nigerian moi-moi is savory and scrumptious. Obviously, one of the best dishes to come out of Nigeria (and African.) Serve with rice, avocado, boiled (as above) or just enjoy by itself. Moi-moi is a deliciousness of miracle. Place the entire beans into a bowl fill it with water and start washing the beans to de-skin/peel the outer cover. You do this by rubbing the beans in-between your palms (this method is a bit slow and takes a long time). Alternatively, you can soak the beans for 8-10 minutes and use the blender to loosen the skin. "Pause" is your friend when it comes to this method. Add about small amount of beans and some water at a time and pulse as many times as possible not allowing it to go more than 3 seconds at a time. Then pour into a bowl; repeat the action for the whole beans, and rinse out. (Make sure you check to see whether the skin is coming off.) The skins would usually float to the to top, they are lighter than the bean seed. Remember, the goal is to rinse off only the skin and not the (white) bean seed. You need them (the beans) to make this yummy moi-moi recipe. Rinse thoroughly and set the clean beans aside. Wash/clean onions, bell pepper, garlic and set aside. Open the tin tomato paste as well. After blending, place a big pot on the stove on low heat and add small some water (about 1 – 1½ cups. If you have a steamer, it would work better for this purpose. In the big mixing bowl add all the other condiments; salt, curry powder, red pepper, nutmeg, vegetable oil and crush in the Maggi. Also, add ground crayfish if you are going to be using it. Use a wooden spatula to give a good stir to combine all the ingredients. Taste to ensure flavors are how you love them before proceeding. For this final process, you need moi-moi wrapper (basically something you will use to wrap the paste before you steam. Some people use banana leaves, foil, or moi-moi pouches. Use a spoon or cup and gently scoop some moi-moi paste into the moi-moi pouch. Ensure that each bag has an equal amount of paste for even cooking time. Zip up/close tight and then place it inside the pot/steamer (that is on the stove). Repeat the process until you scoop up all the entire mix, cover the pot and turn the heat from low to medium-high. As the “steaming,” continues the water will be reduced; ensure to keep adding water to the pot to avoid drying/burning. Cook for about 45-55 minutes or until moi-moi is ready (and you will know that it is ready by opening one of them and cutting right through. It will be firmer, and the color would have intensified a bit.) Taste to make sure that it cooked to perfection before turning off your stove. If still in doubt cook the moi-moi to the maximum cooking time! After turning off, remove pot and place on a tray to cool down. Serve by itself, with rice, avocado or Nigerian stew. Handle hot moi-moi bags with care. 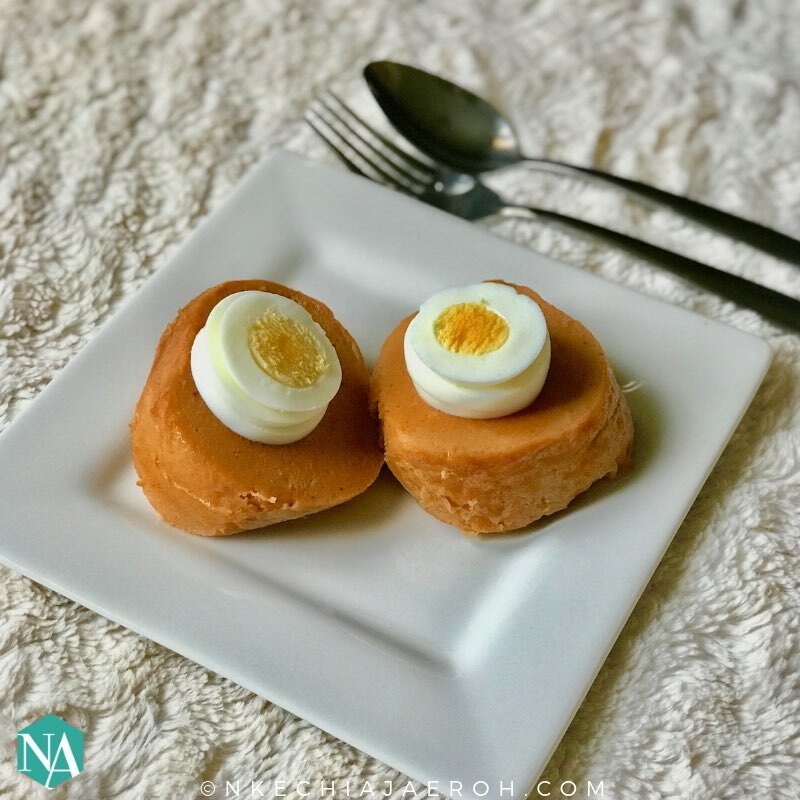 Do you know about moi-moi? And have you eaten it before? Tell me in the comment. Noteworthy: Here in my kitchen we inspire each other to live our best healthy live without judgment and resentment. When you join me FREE, you will also get exclusive healthy tips and hacks! Be a part of my afro-fusion journey as I cook up some of the recipes I ate growing up while living here in beautiful America, plus plenty more. And if you prefer light and lovely recipes, I got you! One More Thing: Please share this post with your friend and family, you never know who may wanna try this out?